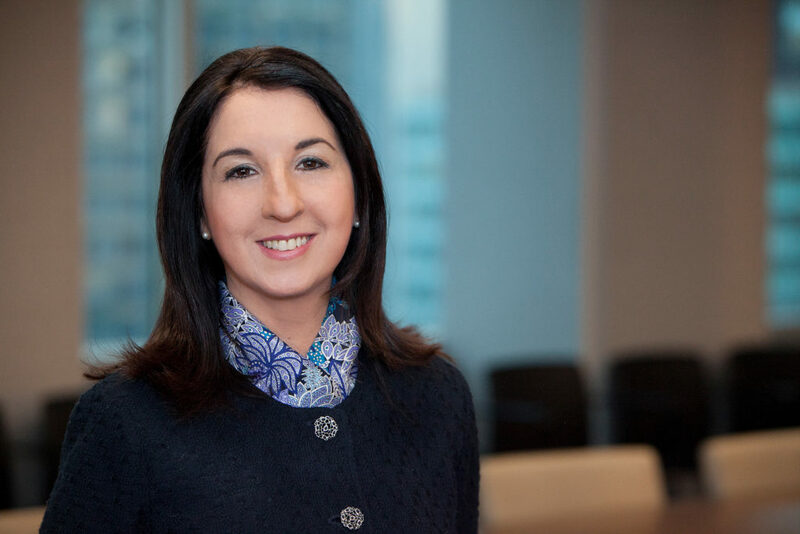 Claudia Marmolejo is COO and Executive Director of the Client Development Group at Morgan Stanley, where she also leads the Latino Employee Network. An attorney, Claudia joined Turnaround for Children’s board of directors in 2010 where she serves as treasurer, chair of the audit committee and member of the finance committee. THE 180: How did you first learn about Turnaround for Children? CLAUDIA MARMOLEJO: I learned about Turnaround through Skadden Arps which is the law firm I used to work for. Skadden had a fellowship, and the head of the fellowship [Susan Butler Plum] was on ten boards at the time, including Turnaround’s, and she said I want to introduce you to Turnaround. I met Pam [Cantor], we had a very impactful meeting, and she said I think you’ll be great. So, I joined the board in 2010. THE 180: What was it that made you think, this is one of the organizations where I would like to give back? THE 180: Do you think Turnaround’s intervention in schools is particularly important for vulnerable children? CLAUDIA MARMOLEJO: Absolutely! I think school becomes their home [away from home], their go-to place, it becomes their guide because they may not have any other one. So that is why what happens in school is so relevant – how you feel about going to school, how you feel at school, whether you feel you are smart, whether you feel you are succeeding, your sense of worth is built there as well. THE 180: Turnaround is an organization that translates science to practice. How do you translate the skills that you bring from Morgan Stanley to your role as treasurer of Turnaround’s board and chair of the audit committee? CLAUDIA MARMOLEJO: Even though I am not a practicing lawyer anymore, I’m still a lawyer and I think as one. It’s a way of thinking about risk, of thinking about where your blind spots could be. I also wanted to use my analytical skills and governance skills together to make sure that we have a very well-run organization, not only for the outside world but also within. The numbers tell stories that no words can. We have great audits, clean audits every year, which I am very proud of as head of the audit committee. We can say all the great things that we want to say but the numbers need to support that story. We have a great story, we have great numbers to support that story, and they consistently go together. THE 180: In the years you have been doing this work, have you seen progress in the way Turnaround manages its finances and reporting systems? CLAUDIA MARMOLEJO: Absolutely. We have learned from our mistakes like every growing organization does. We’ve grown tremendously in size and in budget and in every respect. Our internal controls are getting better by the minute, and for the last three years our external, independent auditors have not had anything to even recommend that we do differently, which is impressive. We are best in class – we have the best practices as it relates to internal audits and controls – so I am very proud of that. THE 180: Since 2010, how has the board’s composition evolved? CLAUDIA MARMOLEJO: There is much more diversity on the board- diversity on many levels: economic, ethnic, professional – teachers and administrators now on the board. This brings a great variety of thought processes and backgrounds to the table in a way that is very additive to the organization. And it would be great if more public companies could follow that same path because when you put some great people together and they bring different perspectives, we build a stronger organization. You reduce your blind spots. THE 180: You are co-head of the Latino Employee Network at Morgan Stanley, a board member of Latino Justice and the Museo del Barrio. Please tell us how your heritage informs your interest in Turnaround’s work, and with teachers and students who are from Spanish speaking families? CLAUDIA MARMOLEJO: Going through the struggles of moving to the U.S. from another country [Argentina], as a young adult, a different age than the children we serve, I had to do a lot by myself. Now, if there is any bump across the road that I can save someone from, I will do it. I am making sure that they have a clear runway, not full of potholes and bumps and obstacles. Our job is to put traffic signs on the road so they know what lies ahead. Many children have everything going against them, particularly in this environment. Education is what opened every door for me. Nothing else but my education and very hard work. And it is the same for children today. We know that if you don’t go to college your salary will be 50% less than if you go to college. So this is really key to get out of the cycle [of poverty], and particularly for students of color, and Hispanics. I want to contribute to my community evolving and developing and being able to make even stronger contributions than the ones made to date. THE 180: We have had some significant news at Turnaround this month: Brigid Ahern will be our new President and CEO, effective June 1! What is your hope for Brigid and for Turnaround for Children going forward? CLAUDIA MARMOLEJO: I am very excited to see Brigid as the next generation of leadership for Turnaround for Children. She has the privilege of standing on Pam’s shoulders (as well as all of ours) to build on this incredible legacy and take the organization to the next level. Brigid can count on my support in this key role and I can’t wait to see the great things she will get done for Turnaround.